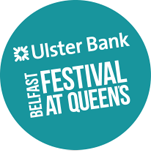 The Ulster Bank Belfast Festival at Queen’s starts in three weeks and runs from Thursday 17 to Sunday 27 October. The Simpsons and Their Mathematical Secrets. Coinciding with the launch of his new book which has the same title, Simon Singh investigates the maths math that infiltrates The Simpsons in a way that is both accessible and funny … like when baby Maggie nonchalantly pies up her building blocks to read EMCSQU! The Crescent Arts Centre, 7.30pm, Friday 18 October. £6. PianOrquestra features two pianos played by sixteen hands using gloves, sticks, picks, nylons, rubber, metal, wood, fabric, plastic and electronics. Inspired by John Cage, composed by Pedro Rebelo and Justin Lang. QUB Sonic Arts Research Centre (SARC), 5pm, Sunday 20 October. £8. Pending Vote is the Irish premiere where the theatre becomes a parliament and the audience have remote controls to vote to decide the future of our community and the evening’s performance. Voting on relevant issues for the Northern Ireland public without avoiding topics such as health, education, civil liberties and identity. Pending Vote explores our personal and political affinities and questions the nature, benefits and contradictions of our modern democratic process. Do we run the system or does it run us? Lyric Theatre – Naughton Studio, 8pm, Monday 21 and Tuesday 22 October. £12. A Secret History of Torture. Drawing on official documents and witness accounts, Guardian journalist Ian Cobain discusses Britain’s secret use of torture in the Second World War, Kenya, Northern Ireland and the War on Terror. Followed by a Q&A chaired by William Crawley. The Great Hall QUB, 7.30pm, Monday 21 October. £6. Bernard MacLaverty in conversation with Marie-Louise Muir. Author of Cal, Lamb, Grace Notes, on the eve of publication of his new book of Collected Stories. The Great Hall QUB, 7.30pm, Tuesday 22 October. £6. Rhinoceros is a bilingual adaptation of Ionesco’s tragic farce. A whole town has been struck with ‘Rhinoceritis’ turning all but one of the inhabitants into rhinos. Bérenger remains untouched in a world where no-one else speaks the same language. Does not require an understanding Fench to enjoy! Lyric Theatre – Naughton Studio, Friday 25 (8pm), Saturday 26 (8pm) and Sunday 27 (7pm). Some great films showing in the QFT as part of the festival, including three from Switzerland: La Petite Chambre (The Little Room), Hiver Nomade (Winter Nomads) and Jump. The 51st festival also has its opening and closing concerts, an 11 acre portrait in Titanic Quarter that can be viewed from nearby tall buildings (or the air if you’re flying in or out of Belfast City Airport) and the 132nd annual exhibition of the Royal Ulster Academy (in the Ulster Museum). If Friday's Belfast Culture Night puts you in the mood to explore some local arts, then don't miss the last of this season's Biscuit Tin Readings in the Ulster Hall Group Space on Tuesday 24 at 7pm. Down on the Main Road is written by Irish playwright Damian Kearney and directed by Fionnuala Kennedy. Faith Hartnett, the principal of Main Road School, and Dad-Man, the custodian of the school are - for different reasons - cursed to remain forever bound within the school. They take us through a day in the school’s life and try to get our heads round the fact that the school is a living, pulsating organism. The walls and boiler fall prey to colds and mood-swings, experiencing first love, reacting tempestuously to a student that had a bad time and had to leave. You can find our more about Accidental Theatre’s plays, readings and open calls for submission on their website, Facebook and tweets. Like all of Culture Night, the reading is free! After this, Accidental's next venture is Fast & Loose, a 24 hour play project returning to the Lyric Theatre for the second time on Saturday 9 November at 9pm. How long does it take to make a play? Months, years, decades? What if you had only twenty-four hours? Fast & Loose is an experiment in playmaking and inspiring creativity, which originated in Los Angeles with Sacred Fools Theatre Company. All housed in one theatre for twenty-four hours, from 9pm on the first day, four playwrights have only 12 hours to craft a new short play. At 9am the following day, four directors and casts will have a further 12 hours to make the play, each being performed that night in the Lyric Studio for the first time. The results are often unpredictable, unique and uplifting, showcasing some of the finest theatre and creative artists working in Northern Ireland. Friday night is Culture Night ... and don't forget the B@lloonup! Belfast City Centre will be awash with culture, music, talk, and most importantly, people enjoying themselves for free on Friday evening. From small beginnings in 2009, the annual Culture Night will see hundreds of events and activities scattered not just across Cathedral Quarter but most of the city centre. Look out for the yellow and black tape that will mark out many of the venues. The weather looks promising. As people walk down the narrow streets in Cathedral Quarter, wouldn't it be great if they could spot online friends they're walking past. Lots of us don't know in real life the people we follow online. By having a balloon above their heads labelled with twitter @username on both sides, people will be recognisable. It would be fun and relational, (potentially) outdoor and photogenic. Realising that sticky labels handed out at events were too small and too difficult to squint at to see people's names, I've been wanting to use helium balloons for ages. Typically having suggested the idea, I'll be out of the country to see it in action. So I want to see lots of photographs, and stories of face-to-face meetings with never-seen-before pals! Looking back through old blog posts I spotted the video I made in 2010. Wonder will the dinosaur be back this year? NI21 call for flags to be respected, ministers to pledge a flag commitment; councils to regulate; but flags aren't the only issue? Tonight, NI21 have launched an intervention into the debate around flags. There’s a statement from Basil McCrea, a position paper and even a video – all focussed on a call for flags to be respected. It’s notable that the video is very careful to balance shots of Union flags and Irish tricolours. The messaging is not aimed at just one community – though perhaps one community is where the strongest reaction and criticism will come from. The statement takes a middle of the road, perhaps even middle class position on identity and quotes a “silent majority” in “the Life and Times Survey [showing] that 74% of the population do not support the flying of flags from lampposts in their neighbourhood”. Does the Union flag represent the United Kingdom or is it a marker in a sectarian battlefield? When the flag of the country hangs tattered from a lamppost, so does our society. When it is wrapped around someone during a riot or used to attack the police, it is defiled. In no other country would this be allowed. The Union flag and the flags of all states should be treated with respect by Governments, politicians and individuals within society – the Union flag and the flag of other states are not and should not be used as tribal symbols. This year there are more flags, bigger flags and more overtly challenging flags on the streets of Northern Ireland. The flying of UVF flags with the simple expedient of adding the number 1913 does not make them historical artefacts. What happened to the loyalism which took many risks to deliver peace? The statement goes on to say that the “the flying of flags in such a manner is a form of intimidation, it is sectarian and yes, it does deter investment, it does destroy business and it does make a house harder to sell”. There is a need to reclaim the streets and help bring genuine civic pride back into disaffected communities. As Northern Ireland slides towards the hard-line the potential consequences of doing and saying nothing continues to grow. To live in a modern, tolerant and peaceful democracy is a privilege. It is not guaranteed. It is worth defending. It is worth voting for. The Position Paper on the NI21 website contains more detail and thinking from the fledgling party. NI21 believes the Union Flag should be flown on designated days on Government Buildings. NI21 believes the Union Flag should be flown on main council buildings on designated days. NI21 believes that the manner in which Politicians and Ministers talk about, use and reflect upon official flags and symbols has a direct impact upon the way groups and communities within society use flags and symbols. For example when political representatives say things like, ‘it is ok to burn a national flag on a bonfire’, it calls into question the legitimacy of all national flags and suggests to others that it is ok to use a national flag as a tool to divide. Despite differing and legitimate political opinions and objectives, Ministers of the Northern Ireland Executive pledge to publicly recognise the Union flag as it represents the current constitutional status of the United Kingdom and Northern Ireland’s place within it. Ministers of the Northern Ireland Executive further pledge to publicly respect the regional flags of England, Scotland and Wales, UK standards and ensigns, the flag of the Republic of Ireland and all other national flags. Around festivals and sporting events, NI21 feel that “local councils are the most appropriate and legitimate body to manage the use of flags”. Organisations should make an application to a local council to place identified flags or emblems on public property in association with a given official festival, public event or sporting event. Such flags should be attributable to a specific organisation or individual as per regulations pertaining to election posters. In the case of legal festivals, flags and emblems, the local council should be minded to accept applications; however, they should take into consideration any specific advice from the PSNI. Councils should make all approvals time bound and if the applicant organisation does not remove their flags on the deadline the council should employ an agreeable third party to remove the flags with the relevant organisation being billed for the cost. Very much following the example of how election posters are regulated and removed … though ignoring the potential personal security implications for anyone caught taking down a flag. When I read the initial statement earlier this afternoon, my instinct was that the danger of attacking flags (or suggesting that they be respected and not left up to rot) is that it ignores one of the few sources of pride and value that remains in some communities. It needs to be joined up with positive intervention and listening to how working class communities have been left behind. Flags aren't the underlying issue that needs to be fixed. They're a symptom. Admittedly a tatty symptom. Respecting flags won't immediately fix social deprivation. Where is the early years focus? An education system that isn’t skewed to favouring the top end. Welfare reform that can be coupled with training and the hope of jobs? Finding ways of valuing health? While NI21 may not expect a flurry of working class votes, as a party seeking to be progressive they should never fear serving and improving the lot of communities outside their catchment or electoral clique. In this regard NI21 believes that a more proactive approach must be taken by politicians and lead Government agencies to bring down permanent flags from the main thoroughfares of Northern Ireland. NI21 recognises that for many communities which are facing significant social problems such as unemployment, health inequalities, and educational underachievement, association with flags and symbols can be a source of pride and security. It’s good to see that after a few regional meetings and after their summer school NI21 have finally started to articulate some policies. Other parties will scoff at the approach. I’m not sure Alliance will be able to find much to fault – other than the impracticality of following through with any of it without DUP and Sinn Fein support. NI21 will need to work hard if they choose to go beyond words in order to become champions for the other issues that the “faceless men” who put up flags - and their families - care about. That's when they'll really challenge the other parties. 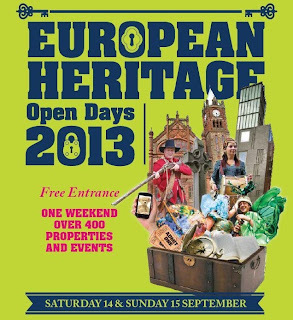 It’s European Heritage Open Days weekend in Northern Ireland. It’s your chance to get inside over four hundred buildings without paying and to find out about their use and history. This year the buildings will be joined by artists, poets, storytellers and other performers who’ll be giving the weekend a cultural slant. Settle into a pew and see the film To Kill A Mocking Bird in Belfast’s Rosemary Street Church at 8pm on Saturday. And check out the excellent Wireless Mystery Theatre who will be broadcasting old-time radio shows and commercials from Sawyers in the Fountain Centre every twenty minutes on Saturday afternoon. Away from Belfast, the R-Space Gallery in Lisburn (32 Castle Street) is hosting Shrieking Sisters, a rehearsed play by Carol Moore and Maggie Croni about Suffragette Lilian Metge who attempted to blow up Lisburn Cathedral in 1914. Play on Sunday at 3pm preceded with by a guided walk at 2.15pm. Booking essential. UU graduate Jonny McEwan – who’s responsible for the fantastic panels on the side of the Skainos building on the Lower Newtownards Road – has created a site-specific video installation that can be experienced in Armagh Public Library. Saturday 11am-6pm; Sunday 2pm-6pm. Every year people rave to me about the Belfast Central Library tour. The library is open to wander around most of the day, but the behind the scenes tour is at 11.30am (until 12.15pm). The Linenhall Library's worth a tour too. PLACE have organised a Mapping Belfast walking tour that will consider how Belfast has (and could) be mapped, and how this helps us understand the city. Leaves the front of PLACE (40 Fountain Street, near the back of Boots) at 11am. At noon another tour leaves the same spot to investigate the Art Deco buildings that can be spied across the city. Fully Booked. The MAC’s architects are giving tours around the Cathedral Quarter arts venue at 10am and 11am on Saturday morning. Given my lack of appreciation for the outside of the building, and my ability to get lost inside its concrete floors, maybe I should book a place! A bumper number of buildings are open in Derry this year. The Tower Museum is worth a visit, and a tour of The Playhouse will turn up some unexpected history. And if Derry's Freemasons’ Hall is anything like the Belfast one (also open in Cornmarket/Arthur Square), it’ll be worth a look inside. The Apprentice Boys' Memorial Hall is open too. Downpatrick Court House – scene of some of my early blog posts about jury service – is running tours on Saturday. Both Armagh Observatory and Armagh Planetarium are open on Saturday. A good selection of Lisburn churches – many of them listed buildings – will throw their doors open on Saturday ... but not Sunday! One year I’ll remember to call in Castle House (on Lisburn’s Castle Street), the former residence of Sir Richard Wallace. You can get into Stormont Castle and see the polo-mint table the Executive sit around (a truly odd piece of furniture) on Saturday and Sunday. Parliament Buildings – which runs tours all year round – is open too. The Clifton Street Orange Hall – complete with minutes of an Orange lodge meeting in Irish – is open on Saturday. Lots of buildings and events all across Northern Ireland. Check out the NI Environment Agency's EHOD website for times, maps and last minute changes. PDFs for Belfast and the six counties are available if you haven't been able to find a paper brochure. Open House Dublin runs from 4-6 October, with 100 buildings open across the city. Much anticipated will be the chance to tour around Google's European headquarters in Dublin's Docklands. Open House Galway is on 10-13 October. The European Heritage Days website – along with its twinkly map – will allow you to explore wider flung opportunities. Why did the crayfish go red? Because he saw the salad dressing ... fun at IKEA Belfast this evening! 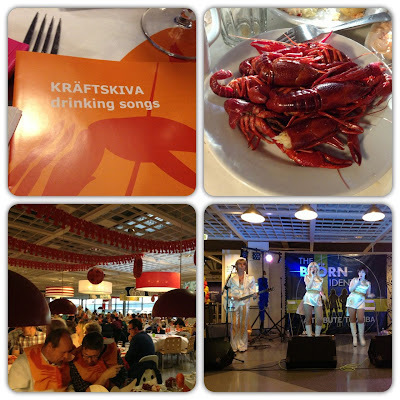 IKEA turned orange in Belfast this evening as they hosted their annual crayfish party. It's a Swedish tradition. I'm not sure that such parties in Sweden all involve an ABBA tribute band but the local flat pack festival of crayfish and schnapps wouldn't be complete without music from The Bjorn Identity. For the ichthyophobes who didn't want to mess up their huge orange paper bibs or get their fingers dirty, there were mountains of meatballs and cocktail sausages, salads and yummy desserts. Breaking up the kitsch 70s music were some community Swedish drinking songs, helped along by a large Scandinavian contingent in the IKEA cafe. A very fun way to spend an evening - and a set of tickets that couldn't be turned down. Keep an eye out on the IKEA Belfast website - or in store - for the adverts next summer. There's a reduced price for IKEA Family members (their free red loyalty card); three complimentary drinks vouchers; kids under five get in free; and the raffle had some great prizes. An great evening of great crack, which seemed very popular with large groups: I spotted a lot of familiar faces from last year.